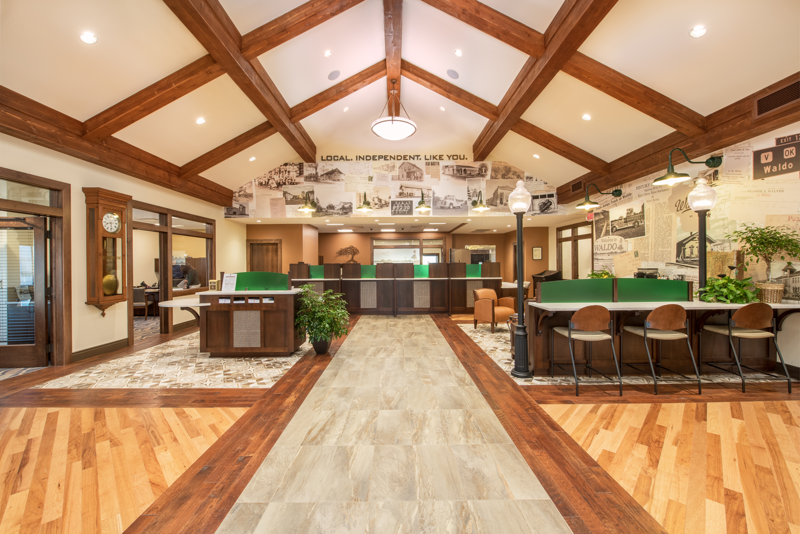 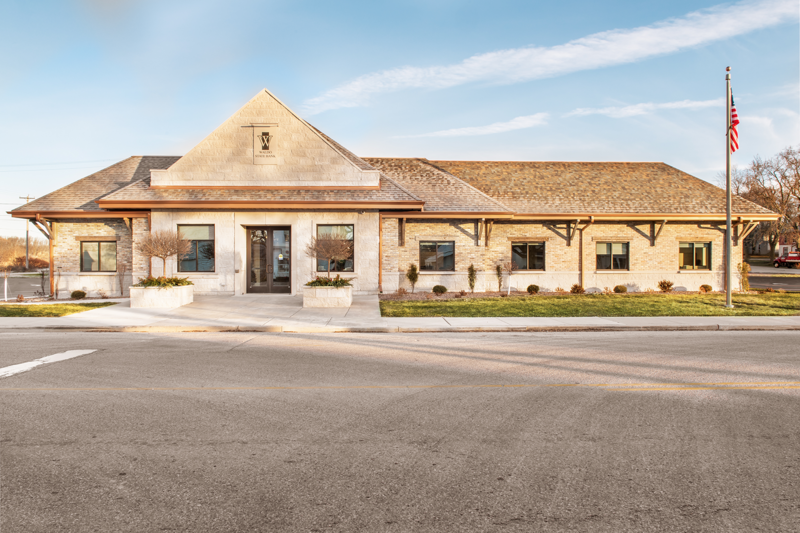 When Waldo State Bank decided to invest in a new building project, it presented the opportunity to celebrate the history of the area while paving way for the future. 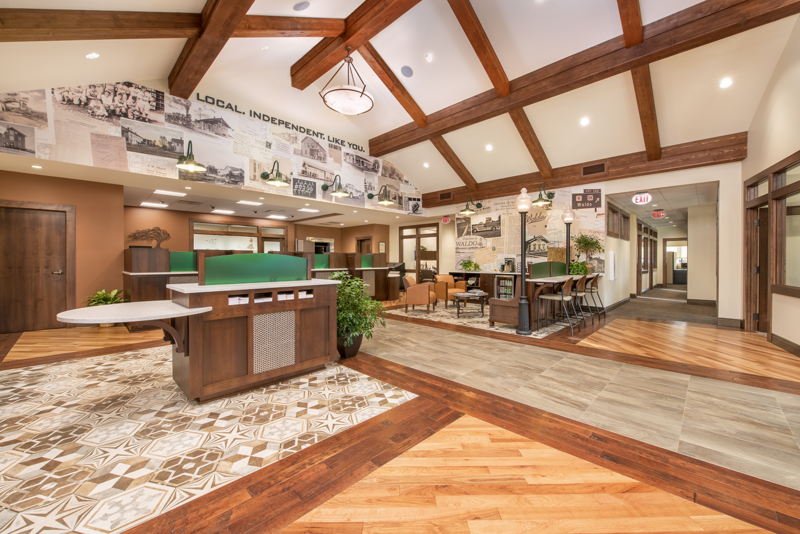 They wanted a retail environment that supports the ongoing growth of their financial team and provides a unique setting for customers to conduct financial business as well as a building design that pays tribute to their deep-rooted connection to the community. 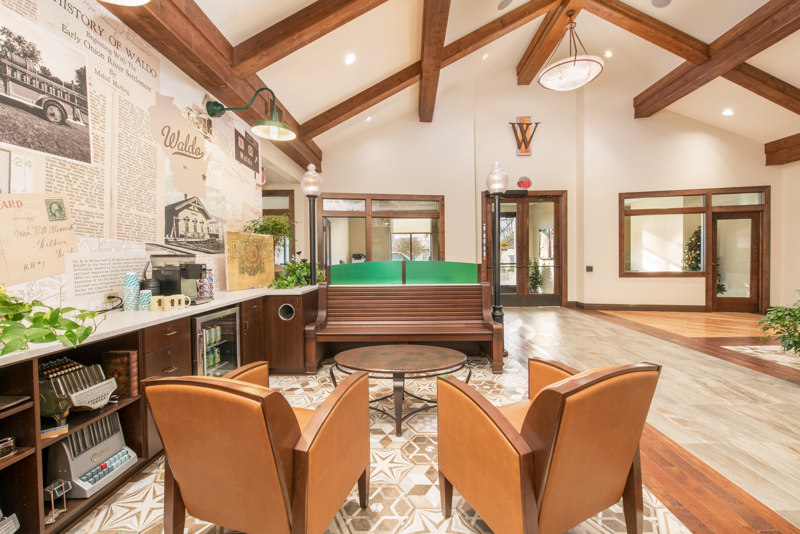 The rich history of the town's mill and train depot quickly emerged as the desired design inspiration for the new building. 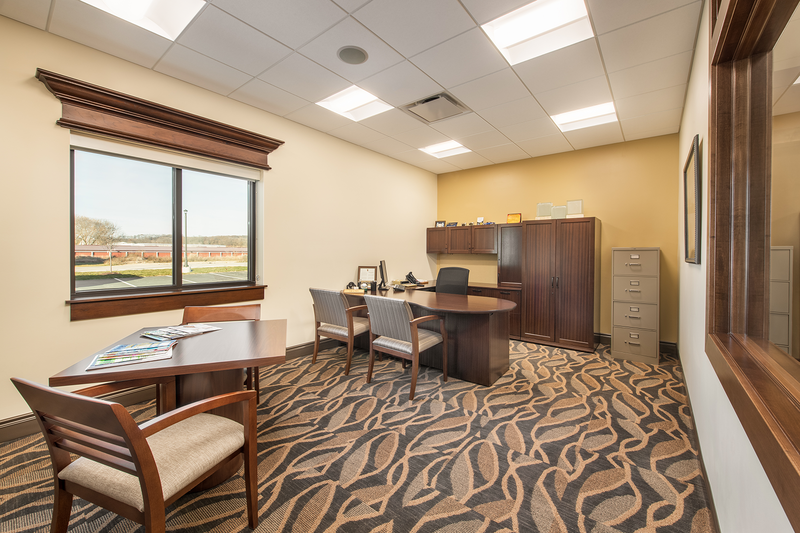 To achieve the timeless design, material selections were carefully considered in every detail. 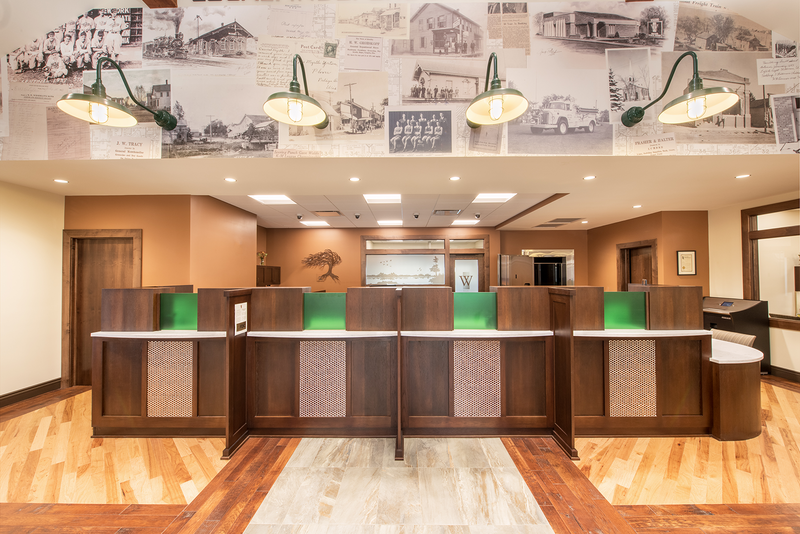 The teller line was a custom design to resemble a train station ticket counter using real stone countertops. 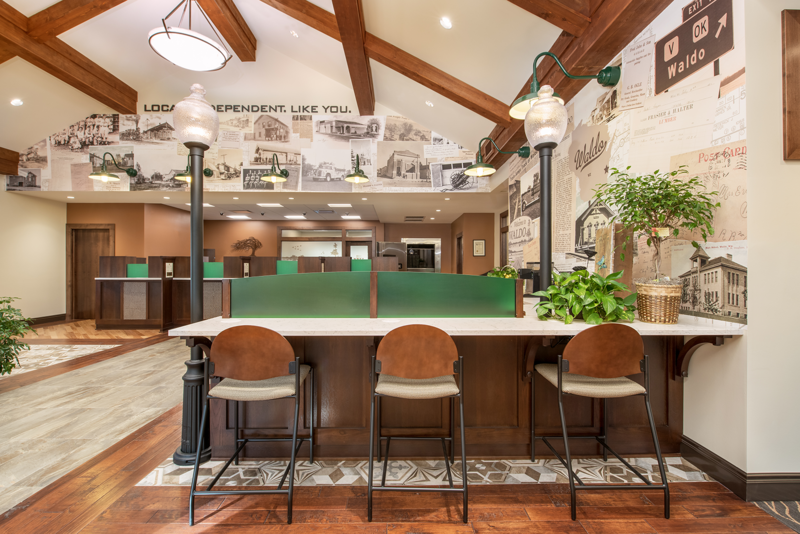 Highlighted throughout the lobby are custom wall murals made from historic town photos, such as the first fire engine and the old train depot.